The marine park claims it was a "natural death" — but one trainer is raising questions. On Monday, Marineland, a controversial ocean park in Niagara Falls, Canada, made a sad announcement. 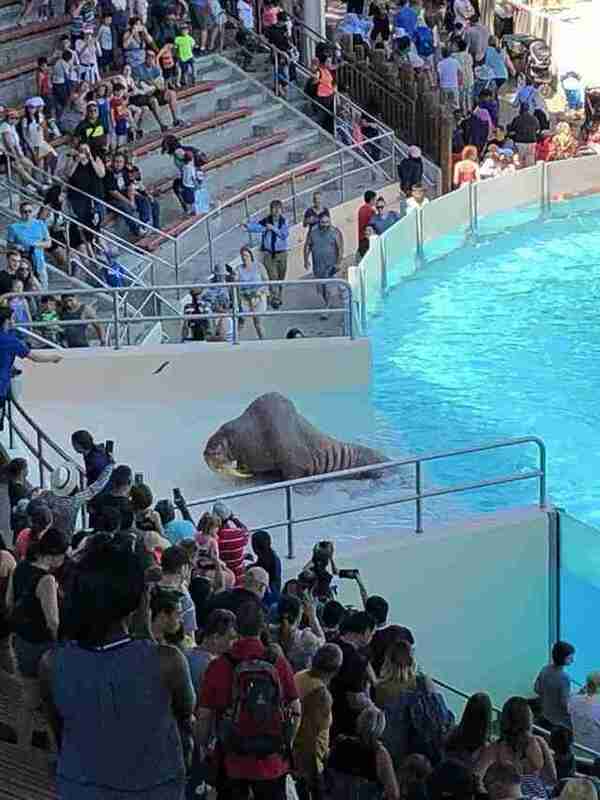 One of its resident walruses, Zeus — known from the viral video that showed him emaciated and nearly collapsing during a park show — passed away. Phil Demers, a former Marineland trainer, wasn’t shocked by this news, but was certainly upset. Demers doesn’t believe a word of this statement. 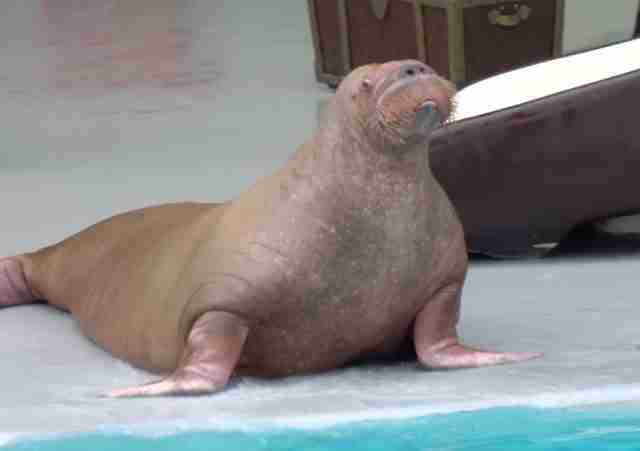 The park even released an old photo of Zeus, which showed the walrus in a healthy state. Zeus’ main health issue was chronic regurgitation, a sign of captive stress, which left him so undernourished that his hip bones and spine stuck out. Zeus has been so ill in the past, he nearly collapsed during a show in 2016 — video footage of the incident went viral. More recent photos show Zeus looking just as thin as he did three years ago. Zeus isn’t the only animal who has passed away at Marineland — belugas, bears, deer, birds and many other animals have died over the last several years, and the park has been charged with multiple counts of animal cruelty and neglect because of it. 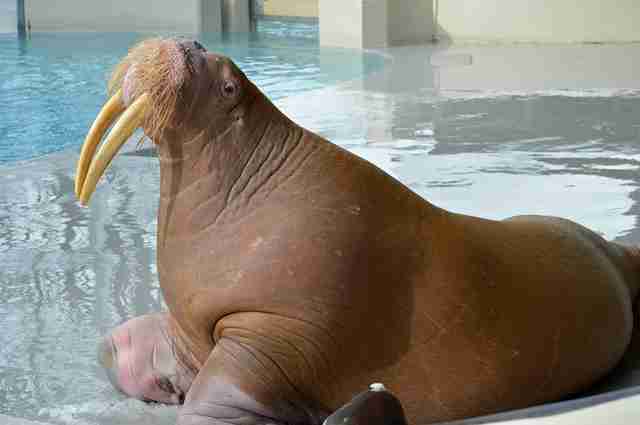 Two other walruses, Buttercup and Sonja, have also died in the past two years. 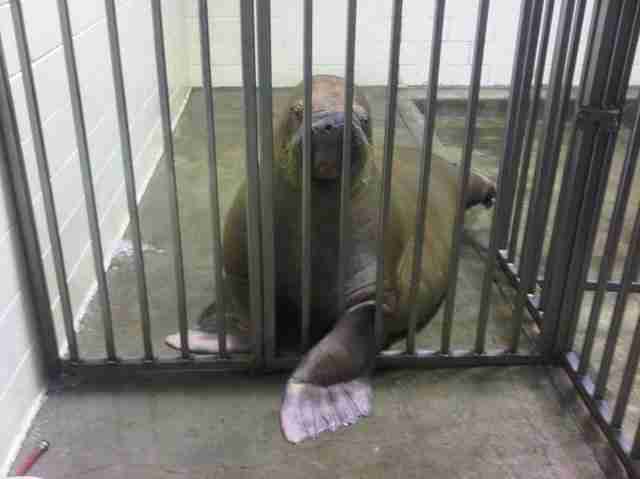 Now Marineland only has two walruses left — Apollo and Smooshi. 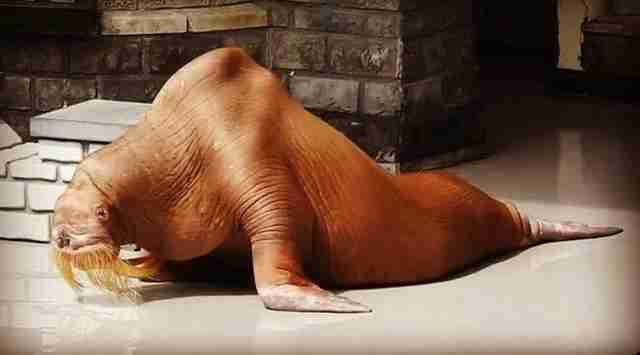 Like Zeus, Smooshi suffers from chronic regurgitation, which has caused her to lose a lot of weight. According to Demers, Smooshi also suffers from constant emotional distress due to her separation from Demers. The two of them formed an unusually close bond while Demers still worked at Marineland as a trainer, and Smooshi “imprinted” on Demers, whom she views as her “mother,” Demers said. 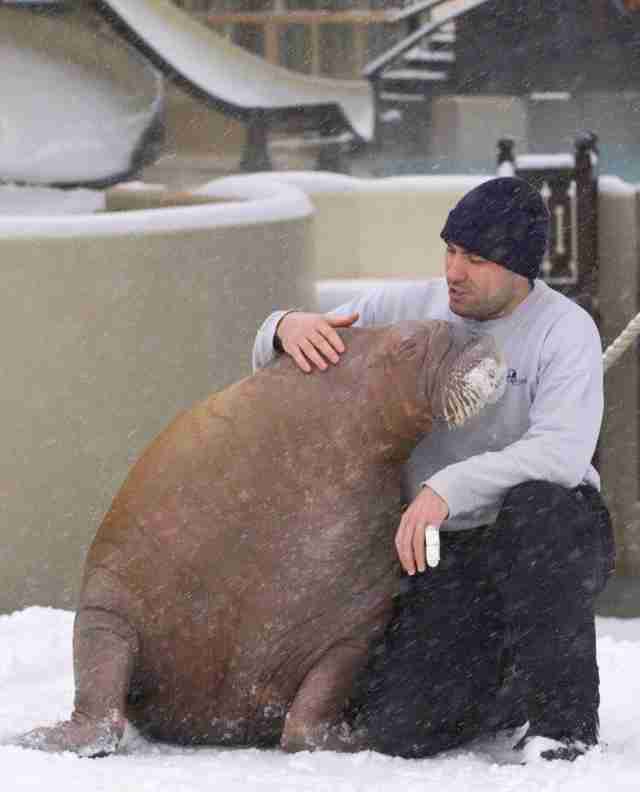 The bond was ignited when Smooshi became agitated as she watched an employee draw blood from another distressed walrus. Demers put his hand in front of Smooshi’s nostrils to calm her down, and Smooshi suddenly focused all of her attention on Demers. 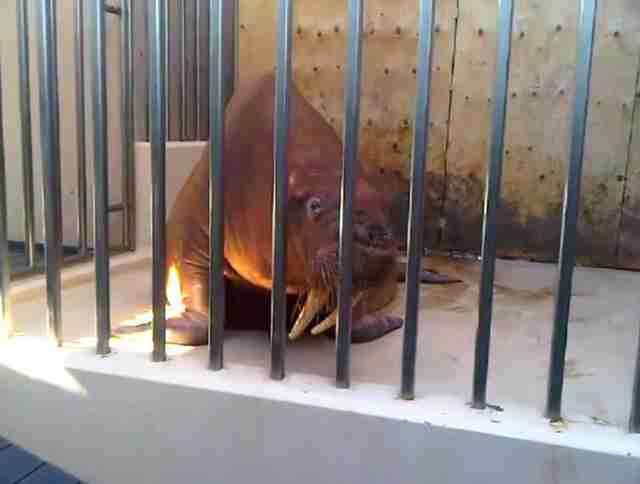 While Demers has received reports that both Smooshi and Apollo are in “good condition” for the moment, Demers is deeply concerned for their welfare. In 2012, Marineland took Demers to court for speaking out about these animal welfare issues. The legal battle between Demers and Marineland is now in its seventh year, yet Demers refuses to stop speaking up for the animals at Marineland. To help the two remaining walruses and other animals at Marineland, you can support Demers' court case against the park by making a donation.